When it comes to keeping a home or office comfortable, most people think about the furnace or air conditioning system. While these are definitely important, there’s a third aspect that often gets overlooked. After all, the ‘V’ in HVAC stands for ventilation. 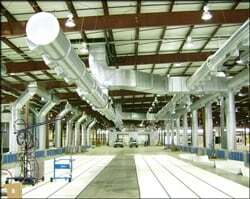 Ventilation is the process of changing or replacing the air that is flowing through your space. If your room feels stuffy or you’ve noticed strange, almost spooky things happening (we’ll get into that more soon), then your building may not be properly ventilated. 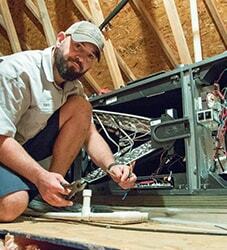 Here are three reasons why ventilation matters in your heating and cooling system. When a space is well ventilated, fresh air is able to be pushed in and stagnant air can be circulated out. This is important for overall comfort as well as creating a healthy environment. Otherwise, air pollutants and odors can get trapped into your space. This is especially important if your building has new windows, doors, or insulation. These energy-efficient products prevent air from escaping outside – which is great for saving energy, but can also cut down on some natural ventilation. However, with the right ventilation system, this won’t be an issue. We’ve all heard the phrase, “What goes up must come down.” Well, you could also say that what comes in must go out. Ventilation of a heating and cooling system ensures there’s a balance of air pressure from one room to another, or from inside to outside. When there is an imbalance, you get either negative or positive air pressure. If you’ve ever experienced doors shutting by themselves or strange drafts in a room, you’ likely have negative or positive air pressure in your building. Improper ventilation can make your heating and cooling system work harder to maintain the proper temperature. This can increase your monthly energy costs and reduce the service life of your system. On the other hand, when the building is properly ventilated, your system can work at its peak efficiency. As you can see, when designing a heating or air conditioning system, it’s important to keep ventilation in mind. Bottom line, well-ventilated spaces are more comfortable, healthier, and more efficient. 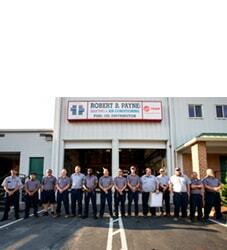 At Robert B. Payne, Inc., we know how important comfort and air quality is to our customers. If you’re looking heating or air conditioning installation or repair around Fredericksburg, call to schedule a consultation with our licensed technicians. 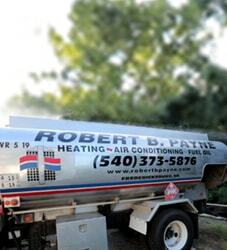 You can reach us 24/7 at (540) 373-5876.